Annual Report of the Committee on Geology, for the year ending November 1, 1876. Kansas Academy of Science, Transactions, pp. 4-5. Wherein Professor Mudge describes the discovery of crinoids, sharks, pterodactyls without teeth, and birds with teeth from the Cretaceous of western Kansas. By Prof. B. F. Mudge. During the past year many important additions have been made to the cabinet of this department. Our cases were already filled at the beginning of the year; consequently, the new collections could not be classified and arranged as they otherwise would have been. Many persons not members of the Academy have made donations to the cabinet, to whom the thanks of this Society are due. In some instances the names of the donors are unknown. It is desirable that the contributor's name should accompany the specimens when sent. Your chairman has added a full suite of minerals from the lead and zinc working's in the southeastern portion of this State, and four large boxes from the cretaceous of western Kansas. These are yet unopened, for want of room on our shelves. He has the past year, as previously, been engaged the greater part of the time, with four scientific assistants, in exploring the Niobrara group of the cretaceous of Kansas, beyond the settlements, and collecting the fossil vertebrates of those deposits. This party being in the pay and interest of Yale College, all the most valuable specimens were sent to that institution. But while Yale added to its museum we at the same time added to our knowledge of geology much that is important and valuable to us as a State. Information has thus been acquired during the past three years which will enable us to map correctly the outlines of the Cretaceous and Tertiary formations, and to substantiate scientific facts peculiar to the fossils of those ages. Thus we have found a rare form of crinoid, which has been described in the American Journal of Science, vol. XII, p. 81, by G. B. Grinnell, as Uintacrinus socialis. 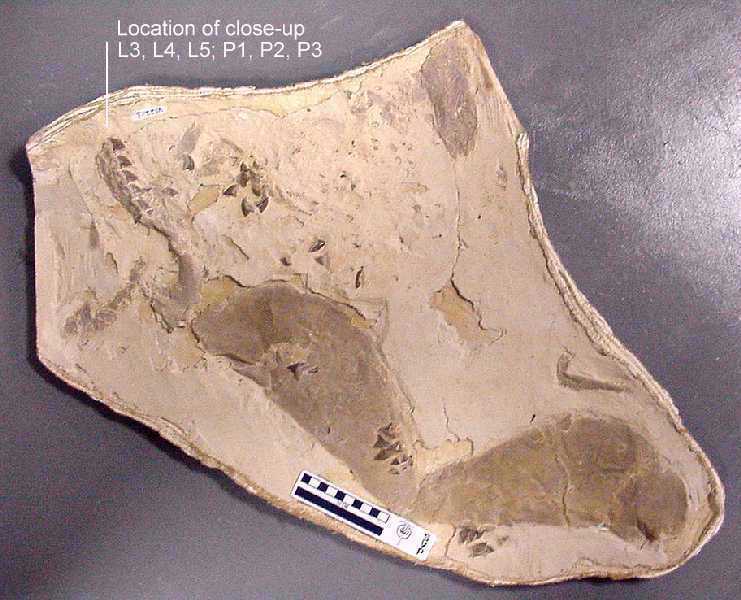 This was also found in Utah by Prof. Marsh's party. It is the more worthy of note, as until quite recently, neither in Europe nor America had crinoids been discovered in the Cretaceous. 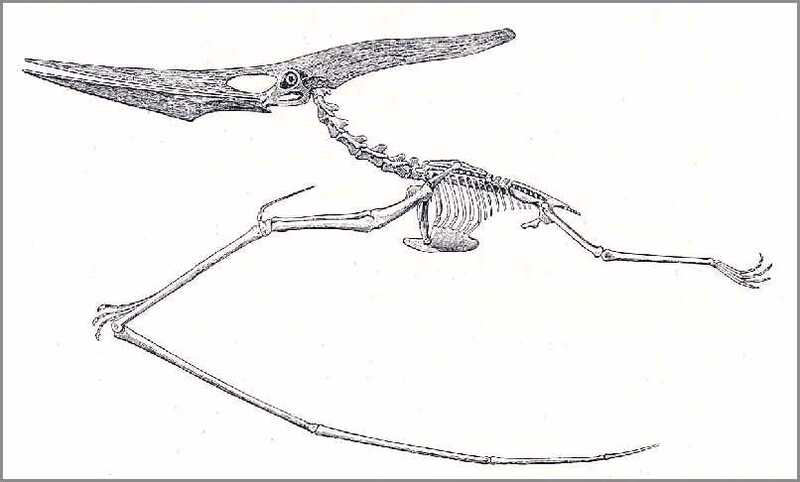 We have learned, too, of the pterodactyls of America, that all thus far discovered are without teeth: a fact in strong contrast with those in other parts of the world. 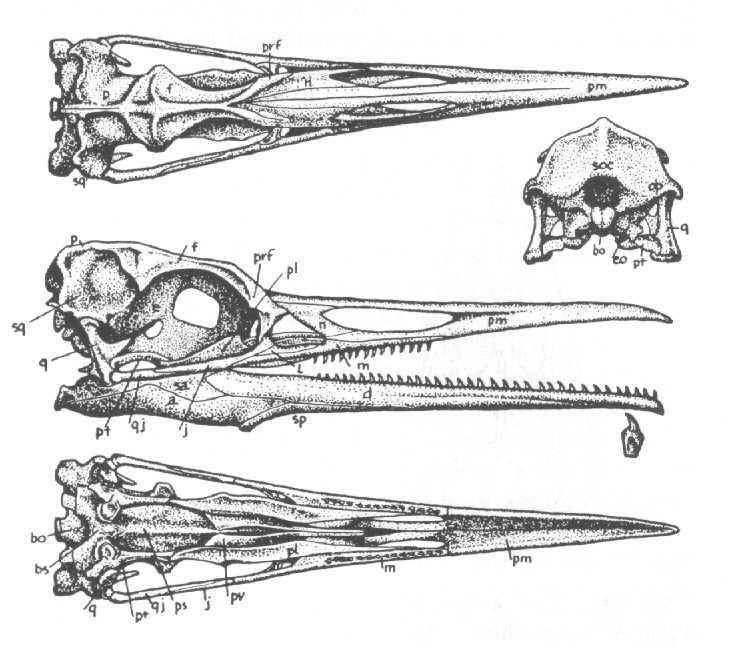 The jaws or beaks of the American species are longer and more slender than those hitherto known, and in the opinion of Prof. Marsh, showing' indications of having been encased in a horny sheath, these features were made known in an article in the American Journal of Science, vol. XI, p. 507. We also procured more perfect specimens of the smaller bones of the order from the hands and feet, A few solitary bones have been placed in this cabinet. Our collections of saurians have also given us more correct knowledge of their structure. The same may be said of turtles, Fossil fish, also, are quite numerous in the territory under examination. One fact of interest in this family was the finding of the teeth, cartilaginous jaw and vertebrae of a shark, Galeocerdo [Squalicorax] falcatus, three portions of which, I think, have never hitherto been found together. 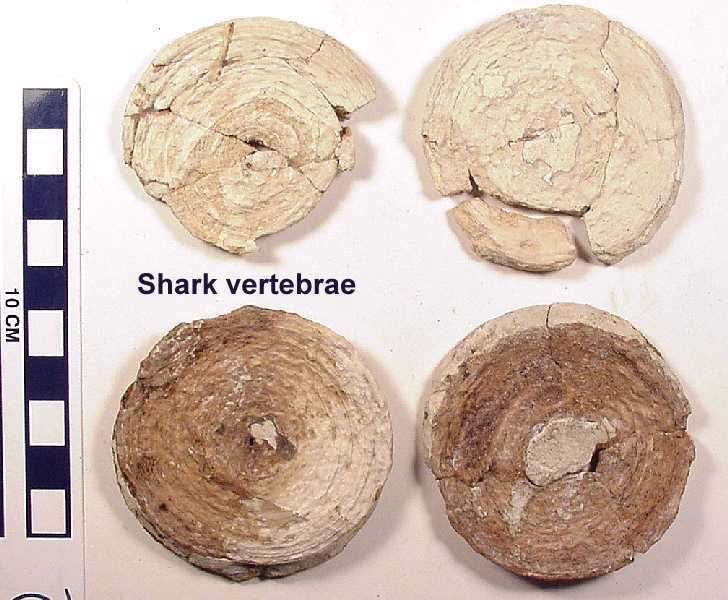 The flat porous vertebrae had occasionally been collected, but the genus to which they belonged was unknown. Several were found some years ago and placed in our cabinet, but not classified. The teeth have long been known and described. Fossil birds were rare and valuable findings. These were generally of the order Odontonadæ, or birds with teeth. They were of two genera; in one, the teeth being placed in sockets, like mammalia, and in the other, in grooves, like many genera of fish and reptiles. Several newer species were added to science, and more perfect specimens of Hesperornis were collected the past summer than ever before. Perhaps it may not be amiss to add that birds with teeth have been found only in the United States, and one genus, the Icthyornis [sic], only in Kansas. Thus, our fossil pterodactyls have no teeth, and our birds have, in direct contrast with those found in other parts of the world. We confess, in closing, that the great pleasure of our employment in thus unfolding the geological wealth of Kansas, is mingled with regret that these valuable specimens, amounting to some six or eight tons, have gone out of the State to enrich an institution already possessing one of the best collections in the world, while our own cabinets, private and institutional, are yet meager in these vertebrate remains, and perfect specimens of which no future explorer can hope to procure by going over the same grounds. Williston, S. W. 1894. Notes on Uintacrinus socialis Grinnell. Kansas University Quarterly, 3(1):19-20.